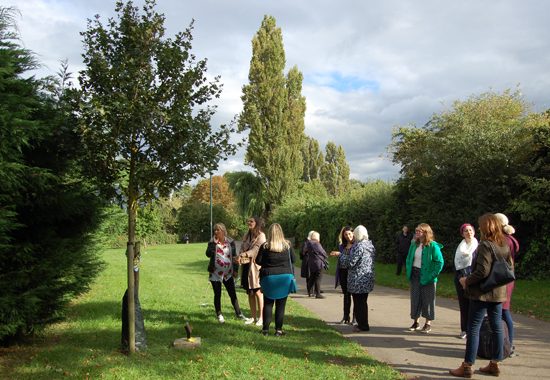 On Thursday 14 September, we held Together to Remember. 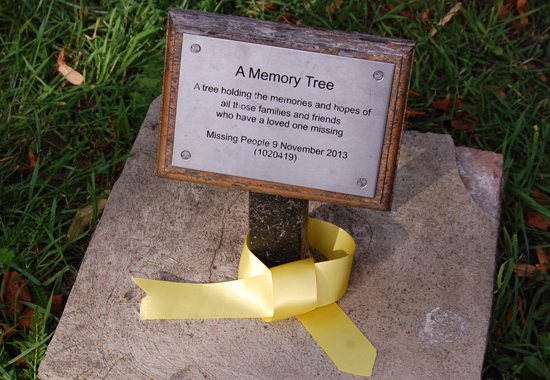 A day for families who are missing a loved one, to join with us and our friends and supporters, to remember every missing person across the world. 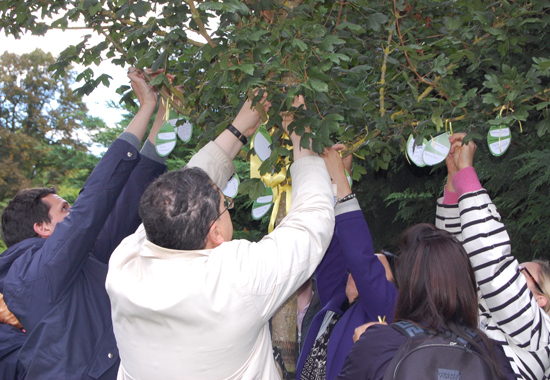 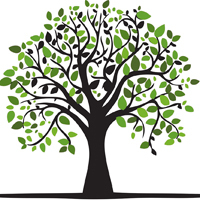 This year, we wanted families to feel more involved than ever, so we invited them into our London Head Quarters, before walking together to the Missing People memory tree in Palewell Park. 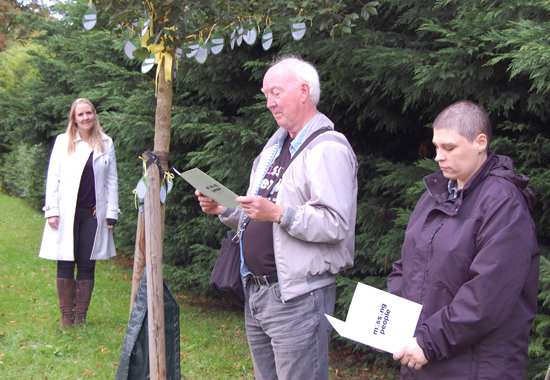 Here, our Publicity & Casework Manager Amy, welcomed our guests and staff and volunteers, before handing over to Peter, father of missing Claudia Lawrence, who beautifully read out a poem about hope. 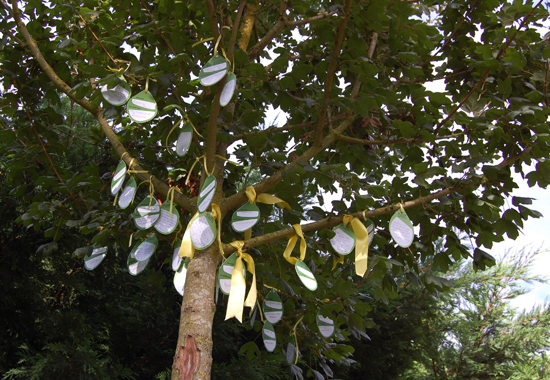 Together with those watching live via Facebook, we honoured a minute's silence; a chance to reflect and remember those missing from our lives, before pre-written messages in tribute to missing loved ones were tied to the tree.